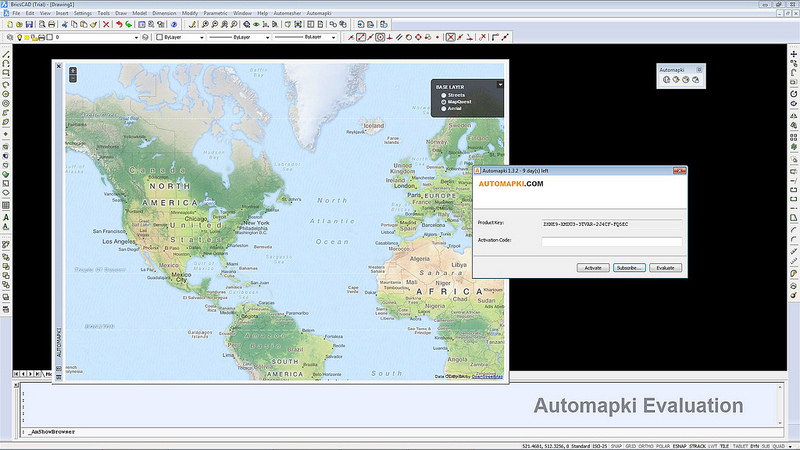 Add web mapping and public satellite imagery to AutoCAD / ZWCAD / Bricscad. Automapki application brings web mapping and commonly available satellite imagery to AutoCAD / ZWCAD / BricsCAD base DWG editors. It allows to display your project and working area on top of your favourite web mapping source, either Open Street Map, Map Quest, Open Aerial, or any user defined WMS base layer, supports over 3000 coordinate systems, and can merge selected map tiles to create Geo Tiff as a drawing background image.